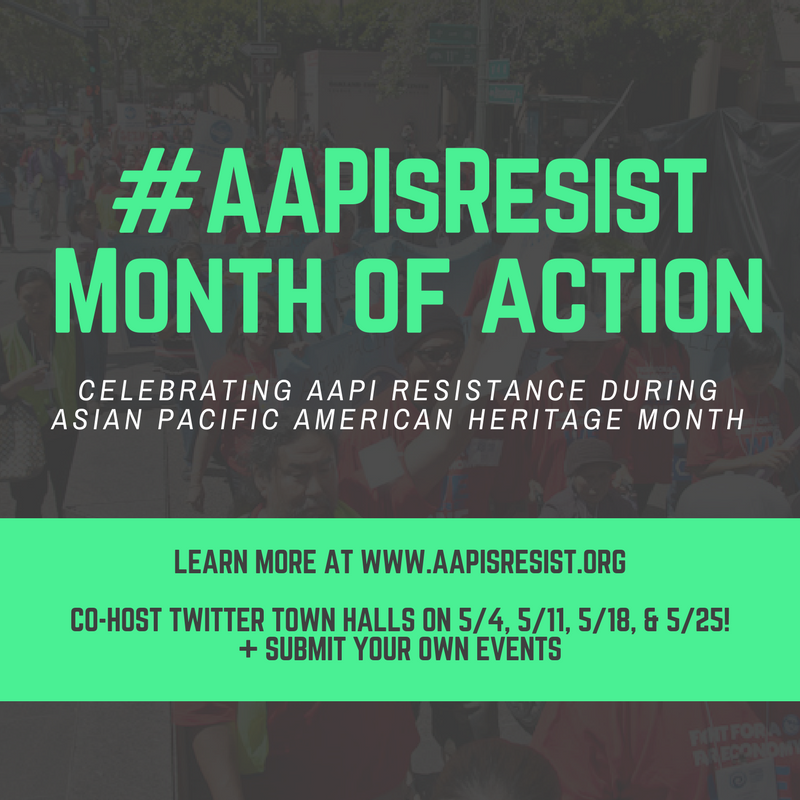 Join us on Twitter for our Town Halls celebrating AAPI resistance during Asian Pacific American Heritage Month. Learn more at: www.aapisresist.org. 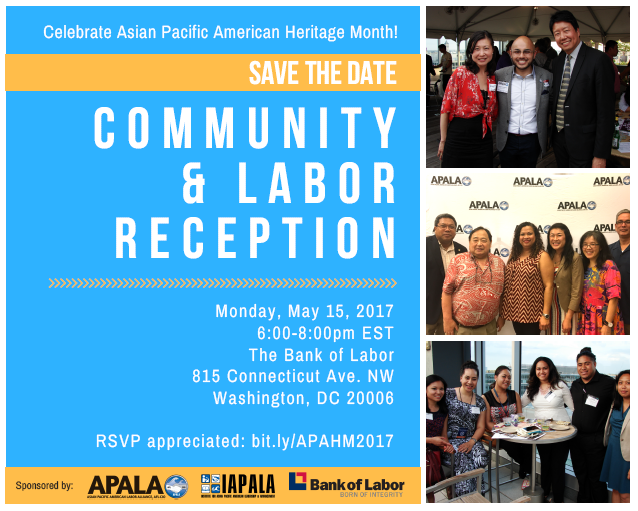 ​Join the APALA, NAKASEC, and NAPAWF AAPI Contingent for May 1st! Feel free to reach out to Kenneth Gonzales, APALA/IAPALA Executive Assistant, with any questions at kgonzales@apalanet.org or (202) 508-3733. 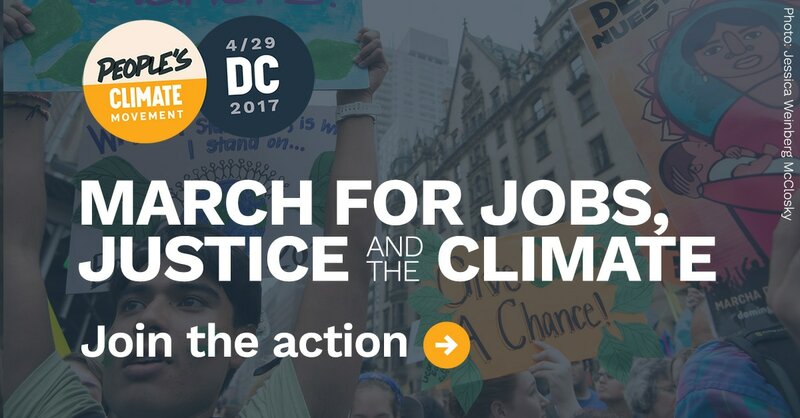 ​What: On the 100th day of the Trump administration, we will resist, rally, and march for climate, jobs, and justice! Join APALA’s Asian American & Pacific Islander Contingent and the rest of the Labor Contingent at the March. 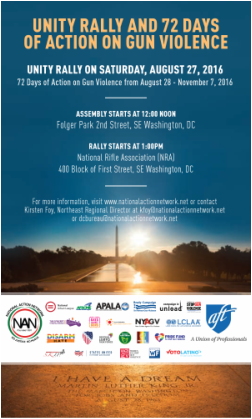 Schedule: We will meet at the Department of Labor Building, 200 Constitution Ave. NW, Washington, DC. We will join the main march at noon. Fore more information, please visit www.nationalactionnetwork.net or contact Kirsten Foy, Northeast Regional Director at kfoy@nationalactionnetwork.net or dcbureau@nationalactionnetwork.net. 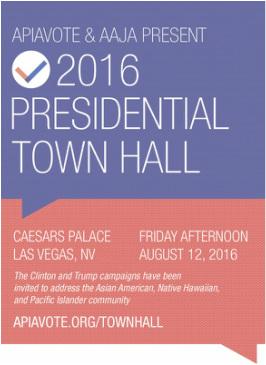 The Asian Pacific American Labor Alliance (APALA) invites you to join us at the 2016 Presidential Town Hall in Las Vegas. The Clinton and Trump campaigns have been invited to address the Asian American, Native Hawaiian, and Pacific Islander community. For Nevada's Future: Every Vote Counts! 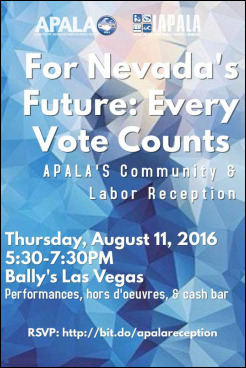 The Asian Pacific American Labor Alliance (APALA) invites you to join us at our Community and Labor Reception, For Nevada's Future: Every Vote Counts! There will be hors d'oeuvres, performances from the AAPI community, and a cash bar. Come and celebrate with us before the exciting Presidential Town Hall held the very next day hosted by APIAVote and the Asian American Journalists Association!